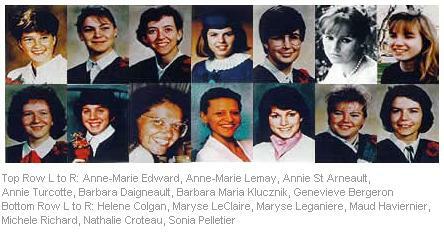 It has been twenty years since a lone gunman killed 14 women at the Ecole Polytechnique in Montréal. The shooter intentionally hunted down women in his rampage, blaming feminists for his lack of success in life. Created in 1995 in the pre-digital video days of A/B roll editing, this educational video about media literacy examines the media’s shaping of the Montréal Massacre to deconstruct media representations of violence, trauma and gender. Created with the financial support of the Canadian Studies Directorate and the Ministere de culture du Québec.